Notes: Erchless Castle is an L-plan castle in northern Scotland, near Struy, Highland. The castle is located by the River Beauly at the point where it forms from the confluence of the rivers Glass and Farrar. Built in the 13th century by the Bissetts, it came into the hands of the Chisholms in the 15th century, by the marriage of Alexander de Chisholme to Margaret, Lady of Erchless, and became their ancestral home. 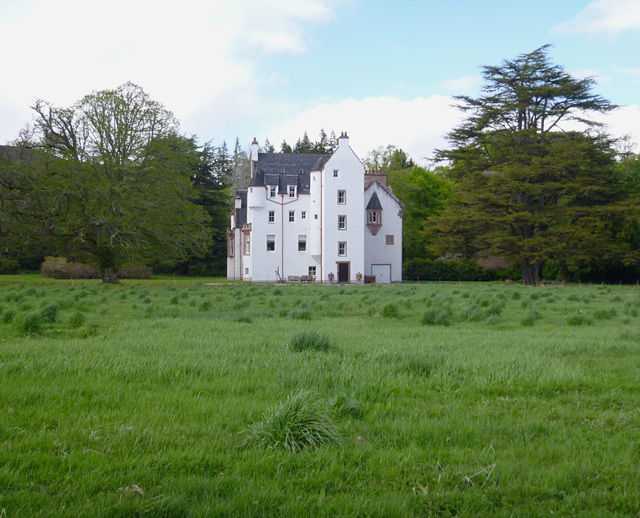 It was remodelled in the early 17th century as an L-plan tower house and underwent further alterations in the 19th century with the addition of a Baronial-style wing in 1895. It is protected as a Category B listed building.